Start generating your own electricity from sunlight now! Solar electricity systems capture the sun’s energy using photovoltaic (PV) cells. The cells convert the sunlight into electricity, which can be used to run household appliances and lighting. PV cells don’t need direct sunlight to work – you can still generate some electricity on a cloudy day. 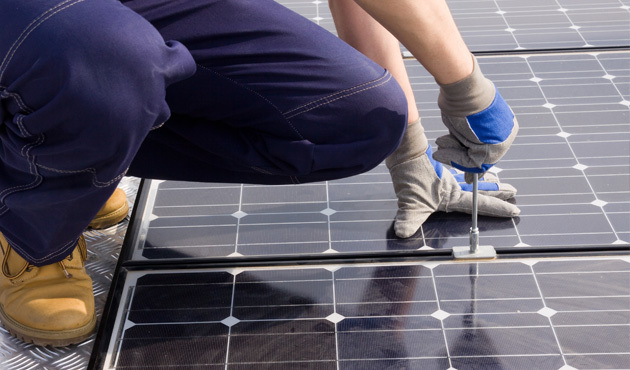 G.P.Green Ltd will design and install your solar photovoltaic system in accordance with the Microgeneration Certification Scheme (MCS) requirements ensuring that your panels are positioned in the best position to take advantage of the light captured on your roof. PV cells come in a variety of shapes and colours, from grey “solar tiles” that look like roof tiles to panels and transparent cells that you can use on conservatories and glass. MCS is a mark of quality and demonstrates compliance to industry. It highlights to consumers that companies are able to consistently install or manufacture to the highest quality every time. We only use fully MCS approved products and we are also members of the REAL Assurance Scheme, which is the consumer’s independent authority that governs sales and procedures in this industry.